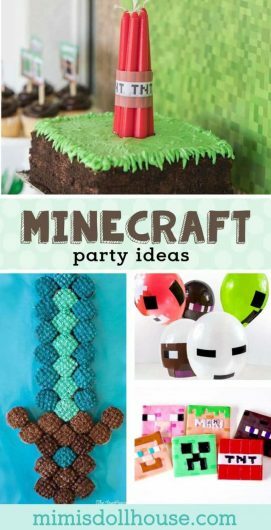 Minecraft Birthday Party: Ideas for a Minecraft Birthday. 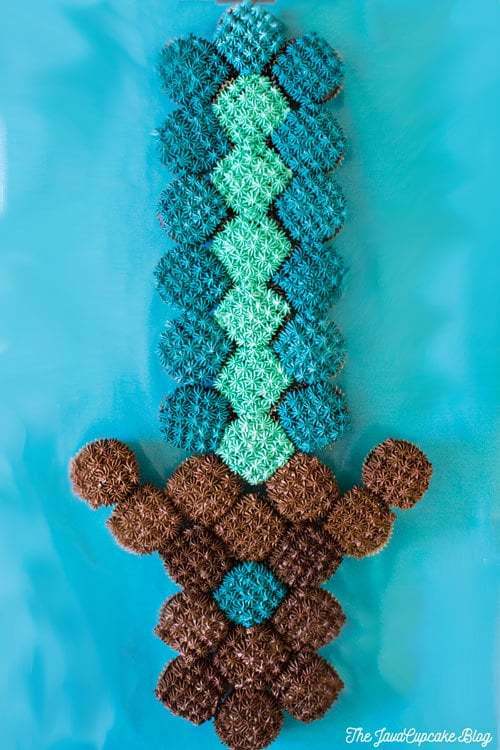 Have a little Minecraft fanatic? What’s better than throwing a minecraft party? Today I’m sharing some fun Minecraft birthday party ideas. 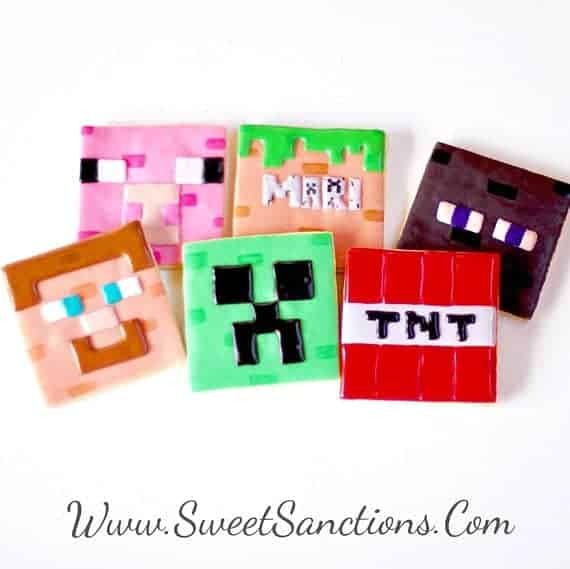 Be sure to check out all of our Minecraft party ideas. So I know some little smartie pants kids who LOVE LOVE LOVE Minecraft. They can build entire civilizations in the time it takes me to make a peanut butter sandwich. I love watching their little genius minds working and those fast little fingers. I have tried to play with them…I just don’t get it. It takes me for-ev-er to build a wall. Maybe it’s just me. Ah, well. Aren’t these Minecraft cookies adorable?? I love the colors. Minecraft designs are so unique!! I think my favorite is the pig!! This cake! 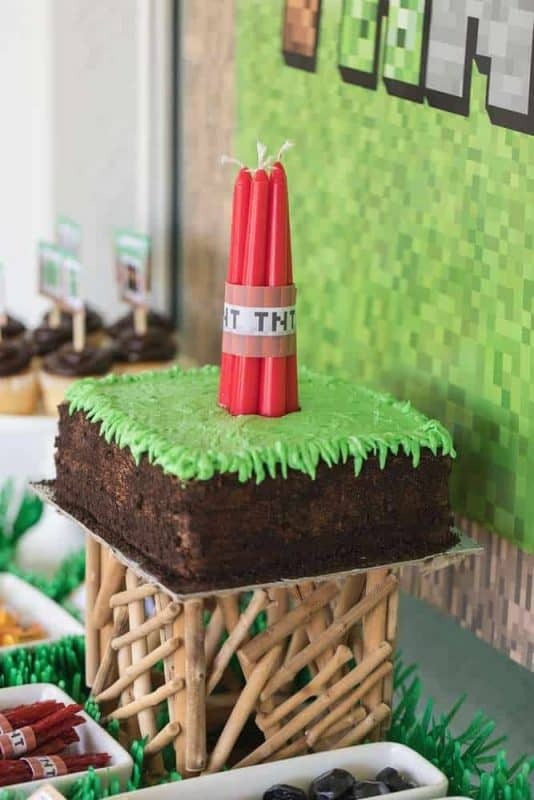 Firstly, the candles are adroable…and perfect for a Minecraft birthday party. How often can you make the CANDLES a part of the actual decorations and not just an extra for the sake of blowing them out. I love how simple this cake is…yet it’s still perfection! Ok, what little kid doesn’t like balloons? 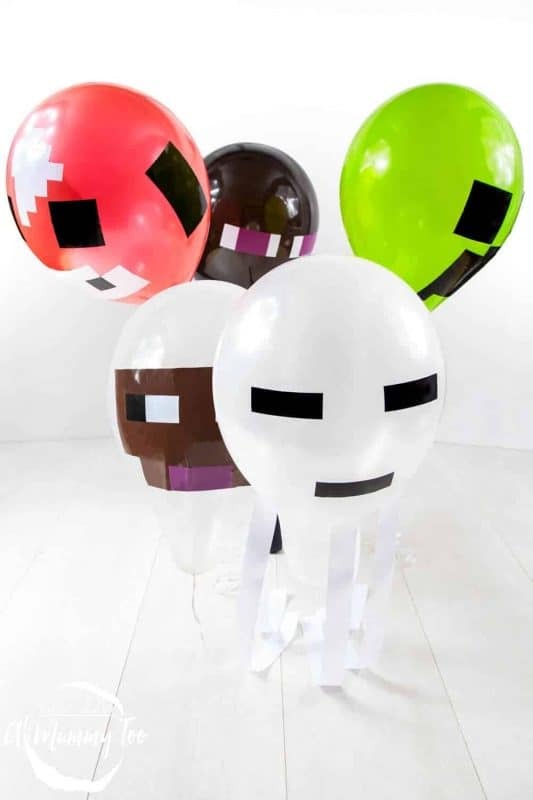 Why have plain old balloons when you can easily DIY some Minecraft balloons? I love this idea! So the pull apart cake is such a fun way to serve cake AND it makes serving super dooper easy. Just pull them apart and everyone has a cupcake! Genius!! Let’s get cracking with some fun TNT dynamite! This is such a fantastic idea. 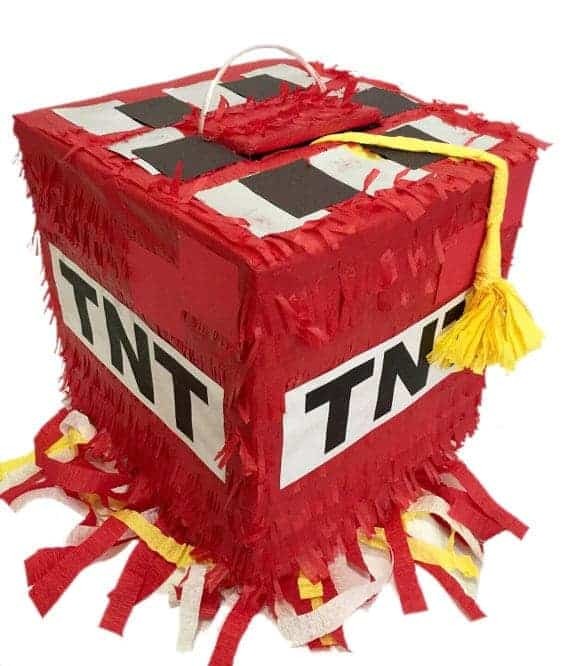 Get the kids excited by letting them use their swords to break open this Minecraft pinata. Awesome-sauce! 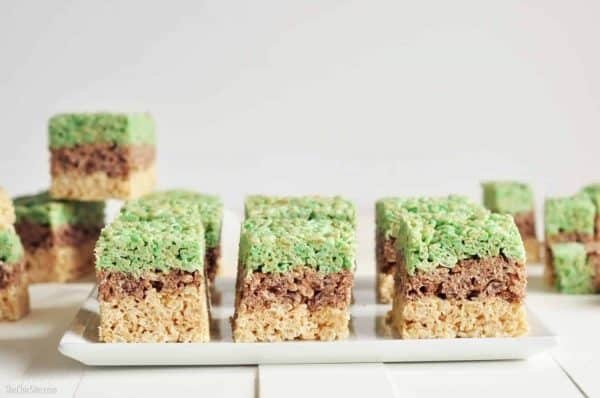 This quick and easy treat is perfect for any little Minecraft lover…who doesn’t love Rice Kripsie Treats? Especially Mincreaft block rice krispie treats. Yes, please! 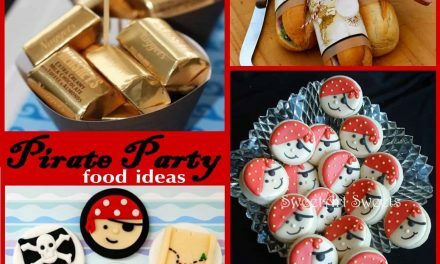 If you love these ideas…check out this fun Minecraft party! 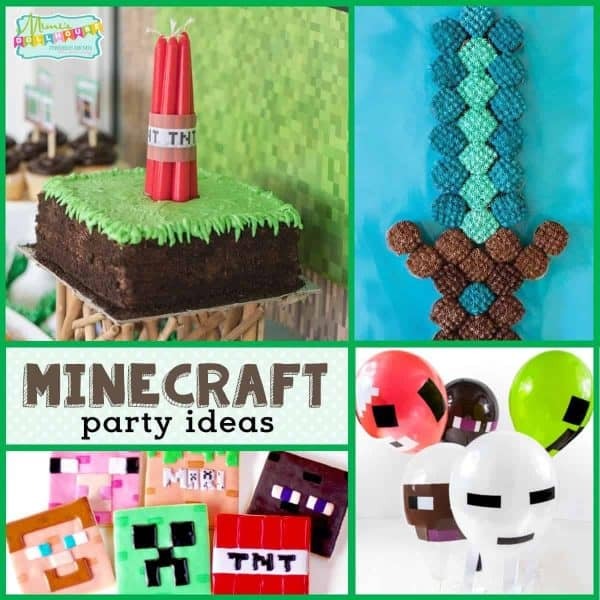 Want to throw a Minecraft Birthday Party? 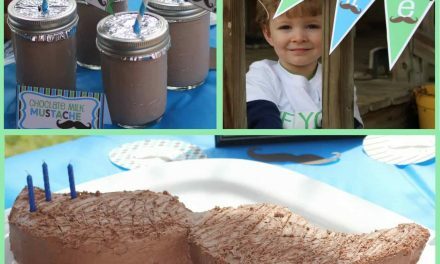 Mustache Party: If you Mustache, Jake is Three! My grandson would freak out with a Mine Craft birthday party! He loves everything Mine Craft, even his hat! Those cookies from Sweet Sanctions look delicious and are so cute! The cake, balloons, cupcake sword, pinata and rice krispie treats are all adorable. 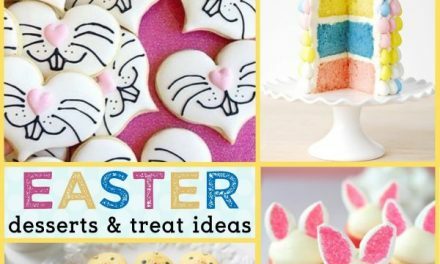 You always have such great party ideas! My nephew would love a minecraft party. It’s his new passion. Those cookies are especially on point! Those cookies look amazing! Can adults have Minecraft parties too? 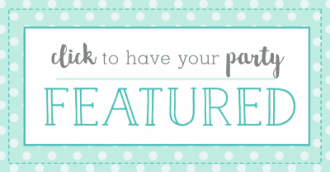 LOL love these party ideas, thank you for sharing! Now this is one party theme that my son will really enjoy. He and his friends are so into Minecraft that they always talk about it in school, play it after school, and talk about it on their Messenger group chat. Haha! I can see why so many kids fall in love with minecraft! It looks like a lot of fun! I love the cake! 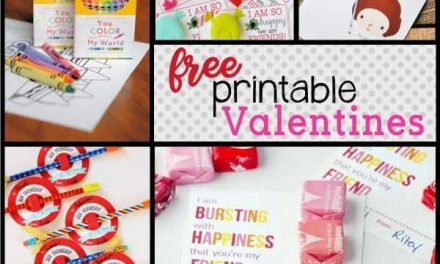 THese are some great ideas. I love the dynamite, and the cupcakes. I have pinned this for reference for when my little gets older. This looks like a really fun party. I think my nephews would love this as a theme for a party or birthday party. Holly, I love this! It just looks like so much fun and got my ideas also flowing and a strong wish to create! A birthday party like this is awesome! Definitely something that people will enjoy, especially the fans of the game! Love all the details! I love these! Great ideas!!! I love the cake! Minecraft fans would love this party!